Q 1. How does Google encourage its employees to volunteer in social projects ? Q 2. Which former IIM Calcutta Professor and well known Management consultant has been awarded the Padma Bhushan ? Q 3. Rajesh Saraiya has been awarded the Padma Shri today. What is his claim to fame ? Q4. 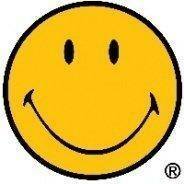 RBI prints currency notes. Govt of India mints coins. What is the upper limit for currency denomination and coin denomination resply ? Q5. Who recently in a game of chess checkmated Bill Gates in just 9 moves ? Q6. Which ad agency is behind the Congress election campaign with the headline “main nahin, hum” ? Q7. Which Indian retail co has the tagline ‘Price”Less” Fashion’ ? Q8.What unique innovation has been made by Indian co. Ventit that is being widely talked about ? Q9.Which brand has launched new flavours imaginatively called ‘ cookie dough’ and ‘ marshmallow Krispy’ ? Q 10. Who has acquired the low-end server business of IBM ? Q 11. When veg prices hit the roof, which brand ran a campaign saying ” Ab chicken sabzi se bhi sasta” ? Q 12. RBI has announced that all currency notes issued before 2005 will go out of circulation from 31/03/2014. How do you identify such a note ? Q 13. As per a Tholons survey of top off shoring destinations Bangalore is no 1. Mumbai has fallen from 2 to 3. Which City is in # 2 ? Q 14. Which country has announced ambitious plans to roll out 5G telecom services by which a movie can be downloadd in a second ? Q 15. Which MNC will be launching Pringles chips in India soon ? Q 16. NSE has launched interest rate futures in the bond market. What are ‘ interest rate futures’ ? Ans. IRFs are similar to equity futures. Here the future contracts of ‘buy’ or ‘sell’ are of underlying government bonds, similar to future contracts of stocks. The minimum contract value is pegged at Rs 2 lakh and initial margin which you have to pay upfront is around three per cent. This works out to Rs 6,000. Q 17. Which American company has launched the INDIAN motorcycle in India ? Q 18. HSBC set up the first ATM in India. Where was it done ? Q 20. 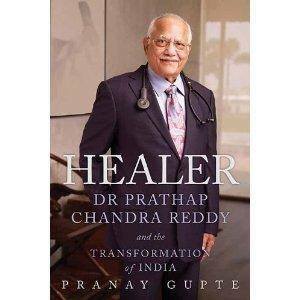 With which chain would you associate Dr P C Reddy ? Q 21. Karl Slym, MD Tata Motors, RIP. 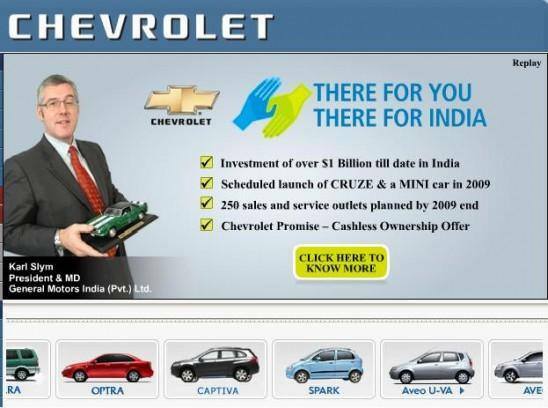 When Karl was heading GM India, he appeared in advts like this. Why did he have to appear in advts and reassure Indian buyers ? Q 22. 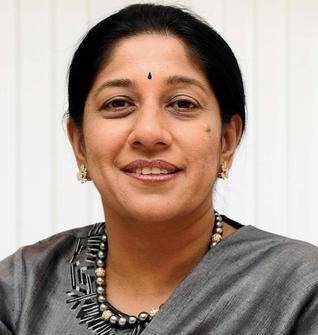 This lady has been awarded a Padma Shri for her contribution in the Trade and industry category. Identify her and her company. Q 23. 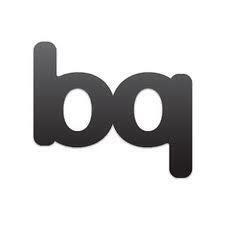 Which company owns this trademark worldwide ? Q 24. 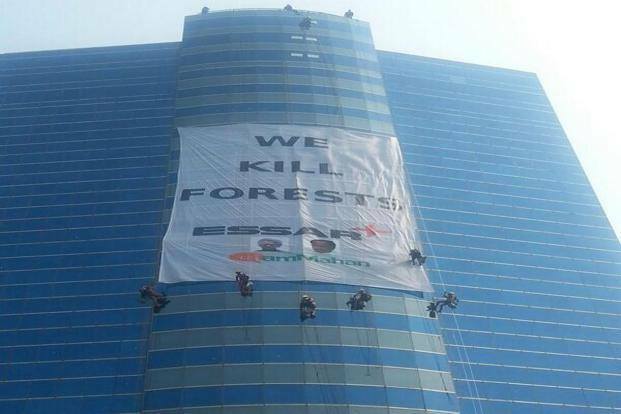 Which activist group ambushed Essar group for its mining activities in this unique way by putting a huge banner in its HQ ?